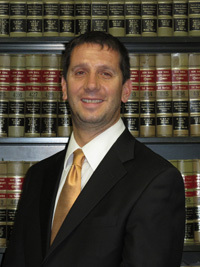 MICHAEL V. CAMPANILE began his legal career at an established personal injury and medical malpractice. In 1995, he became an associate with the Law Office of Vincent P. Crisci, where he was staff counsel for Hanover Insurance Company. Mr. Campanile joined MDAF in 2000 and became a partner in 2007. Specializing in litigation and trial work, including municipal, premises and motor vehicle litigation, Mr. Campanile has tried cases in all five boroughs of New York City, as well as Nassau and Suffolk Counties, and has obtained over twenty-five defendant's verdicts.